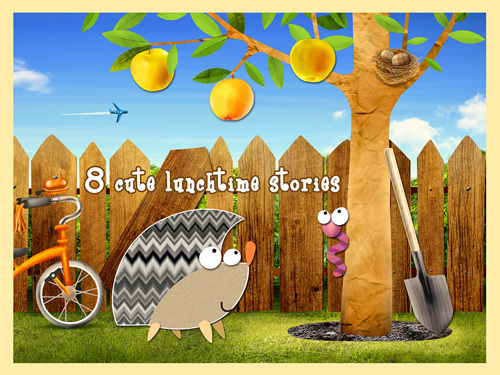 Funny Yummy is a interactive story book about the lunch time. In each of the eight episodes cute heroes (a hedgehog, birds, a mouse, a cat, fish, dog, sheep and frogs) will ask the young players for something yummy. The illustrations are a blend of digital art, layered textures and cartoonish characters created by Olga Samsonenko. Oversized googly eyes add the right touch of humor, and sound effects complement the gentle narration. 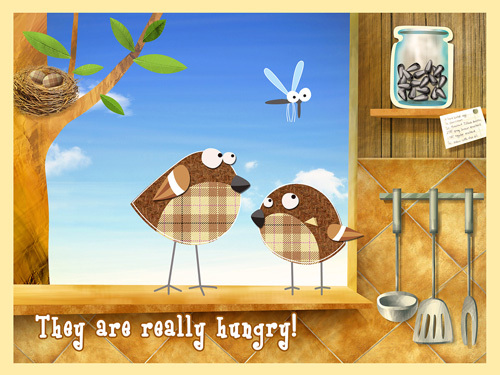 In the process of feeding the animals kids will discover what is favourable food for each animal presented in the app. 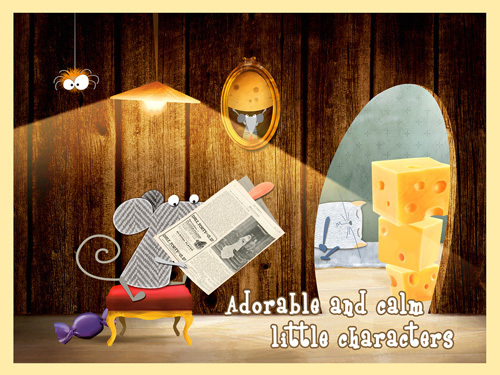 The app's heroes, each with their own story in a funny way will inspire children for good healthy appetite. Anticipation of food and some small distance between eating teaches the child not to rush with a food and enjoy the process. Additional 35 engaging & funny animations to be discover: kids can let the birds hatch, see the heron, discover what happens to the mouse’s cheese flavored candy and much more, even animals form other episodes can visit. 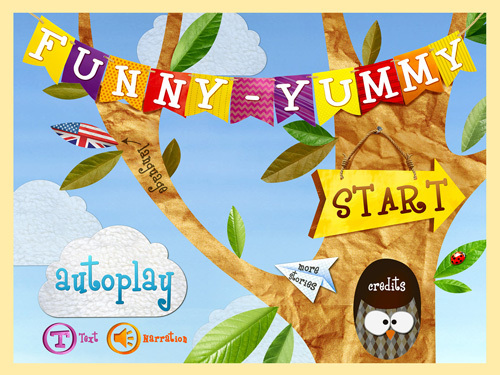 The animation in Funny Yummy are not only user driven, but rather involves into small interactive movie in which the child takes part. - Funny Yummy can also be watched in auto-play. - Discover now even more additional funny interactions in each episode - Funny Yummy is an app that drives the appetite up! For your convenience you can donwload the image.zip file with all images here. 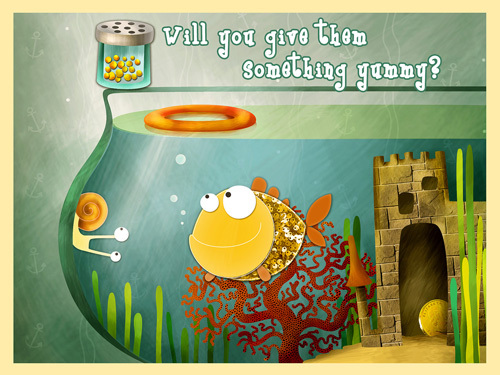 Take a look at another Funny Yummy Studio Game "Catch the Wally"